Industrial damper applications often require a robust damper to meet the demands of continual use, housed within systems producing variances in temperatures and conditions. Paper mills are a prime example of the aforementioned, however at Konvekta we are experienced in dealing with and supplying to these types of premises. 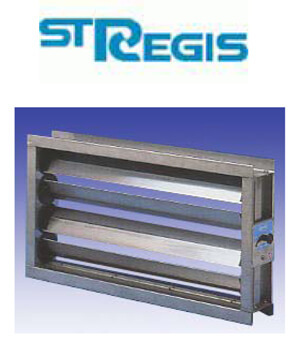 Konvekta has continued to manufacture and supply custom built stainless steel dampers located within ducted ventilation and process systems to St Regis Paper Mill for several years. K300 Control & Balancing Damper, commonly used in industrial air supply ventilation and process control systems.